We offer home visits from our clinic in Havant and cover areas such as Rowlands Castle, Emsworth, Waterlooville, Denmead, Hayling Island, Westbourne plus others too. We also offer treatment within our Havant clinic. 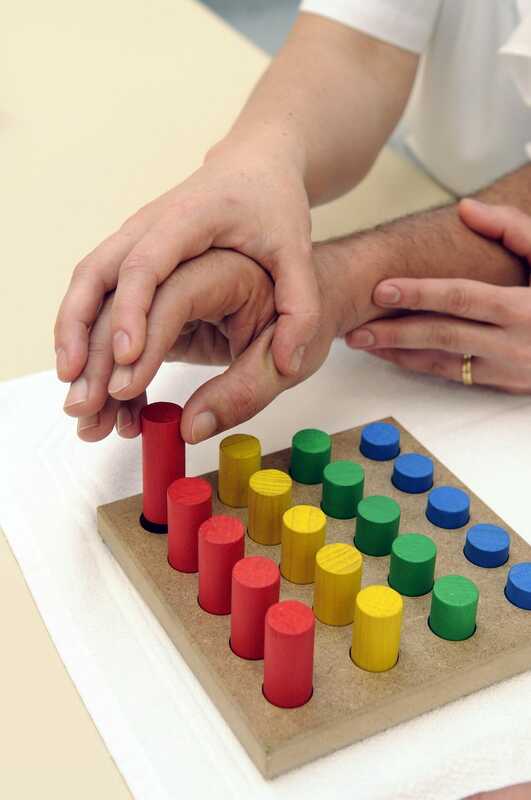 So what is Neuro Physio? What conditions can we treat? How can we help you? Neurological Physiotherapy is a specialist physiotherapy treatment for people who have suffered damage to their central nervous system, including brain and spinal cord. Damage to the central nervous system means that the messages from your brain are not reaching the affected parts of your body. This can lead to reduced movement and sensation, uncoordinated movement, muscles spasm, tremor, weakness. Neurological Physiotherapy is able to restart the message pathways that your brain is struggling with, to make new pathways using certain movements and exercises. I had my neurological episode ages ago can we still help? Yes, it doesn’t matter about your age or time following a neurological episode we can still help. We listen first then work together as a partnership to achieve your goals. We have a qualified Parkinson’s Disease (PD) Instructor. He provides exercise-based treatment designed to encourage the slowing down of Parkinson’s Disease progression and maximising neuroplasticity to improve function. Please quote: NewNeuroPhysio Offer to claim your free 15 minute assessment at out Havant clinic with our specialist neuro physiotherapist. This can be claimed by calling 07835 712306 or emailing: enquiries@physio-logical.net, terms and conditions apply. We offer affordable treatment plans. If you are looking to improve your walking, balance, arm movements in Havant, Rowlands Castle, Emsworth, Hayling Island, Waterlooville, Denmead, Chichester or surrounding areas, Physio-logical has the expertise to provide effective treatment. No spam, ever. Just interesting news and tips on how to stay fit, prevent injury and hit your peak.